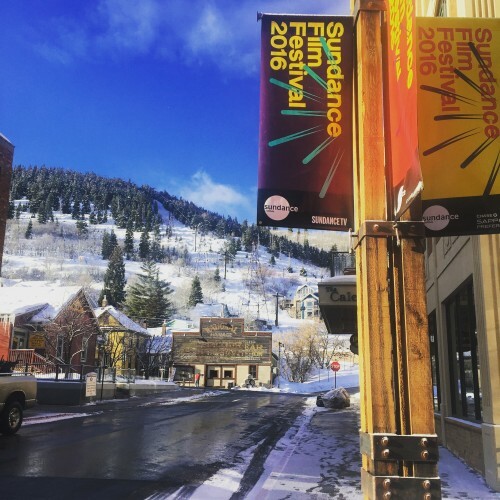 The 2016 Sundance Film Festival is Ready to Go! The 2016 Sundance Film Festival is set to begin today with the opening night film Norman Lear: Just Another Version of You, directed by Heidi Ewing and Rachel Grad. What will follow will be 10 days of non-stop film screenings, parties, meet ups, and gatherings, which means yet again, my schedule for the next week and a half is completely packed. But I wouldn’t have it any other way! This year’s line up boasts plenty of impressive looking films, and in particular, several amazing looking films that are directed by women and/or featuring women in the lead roles. The festival has curated a special feminist track guide to following the most prominent films by and/or about women, and I know there’s several that I’m personally looking forward to, including Eagle Huntress and Audrie and Daisy, both of which I am a small investor in through Impact Partners, and Equity, the first Wall Street film starring a women since 1988’s Working Girl. There’s also plenty of women-led special events and panels throughout the festival, including discussions with Lena Dunham, Women in Film Los Angeles, and the ever popular Women at Sundance brunch. This year promises to be a great year for women at the Sundance Film Festival, especially considering that several women-led projects have already been pick up for distribution, including Tallulah, written and directed by Sian Heder of Orange is the New Black, and The Fits, directed by Anna Rose Holmer. Follow me on Twitter (@JackiZehner) as I tweet my way through the festival, and follow the conversation online at #Sundance2016 and #Sundancewomen. Previous Post One Million Unfilled Jobs in Tech! Say what?